Vom 14.02.2017 bis zum 15.02.2017 wurden 25 Knowledgebase Artikel veröffentlicht. When booting from autodeploy server, ESXi host is non-compliant to host profile. You see the error:Ruleset dynamicruleset not found. The compliance error appears even after checking the firewall ruleset list in the ESXi host shows dynamicruleset as true. When checking the compliance on a Host Profile, you see the error:dynamicruleset not found Running the esxcli network firewall ruleset list command on the ESXi host does not list dynamicruleset. This article provides supporting document to the VMware Product Interoperability Matrix regarding VMware Virtual Volumes (VVols) interoperability with other vSphere 6.0.x products and features. This article provides important information before upgrading to VMware NSX for vSphere 6.2. 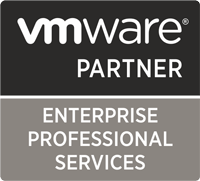 This article provides steps to locating an Entitlement Account in My VMware portal. symptom:Upgrade is haltedYou see the error similar to:Cannot continue upgrade due to errors: „(1)“ Hardware Gateway(s)found in the system. Unable to proceed with the upgrade. Please contact VMWare Support to continue. Please correct before proceeding. with the error : java.lang.OutOfMemoryError: Java heap spaceNote: The preceding log excerpts are only examples. Date, time, and environmental variables may vary depending on your environment. This article outlines the requirements to upgrade a vSAN cluster between major and minor versions. Note: Depending on the desired target version, there may be intermediate steps required to ensure a smooth and effective upgrade process. Ensure you review the relevant section in detail. ESXi hosts running 5.5p10, 6.0p04, or 6.5 may fail with a purple diagnostic screen caused by non-maskable-interrupts (NMI) on HPE ProLiant Gen8 Servers. When using Internet Explorer on systems with IE Enhanced Security Configuration enabled, the ESXi 6.5 Host Client (https://FQDN-or-IP-Address-of-ESXi-host/UI) fails to load. You see a blank page or the page may fail to redirect you to the login page.